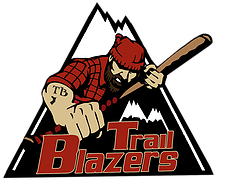 Watertown at Albany, 7:05 p.m.
Newark at Amsterdam, 7:05 p.m.
Cooperstown at Elmira, 7:05 p.m.
*There was certainly a little bit of everything on Thursday night between two walk-off hits, an extra-inning thriler, two separate ninth-inning rallies in the same game, a near no-hitter and massive amounts of offense being thrown around at two different parks. *We'll start with the walk-off hits. That now makes 11 games won this season in a walk-off situation. The heroes last night were Elmira's Landon Prentiss (VCU) and Oneonta's Zac Johnson (Illinois State). Technically there have been two nights with walk-off wins, last night and June 6 which was Opening Night. On Opening Night, Albany beat Elmira on a walk-off walk. Cooperstown and Amsterdam were suspended because of darkness after 11 innings though when the game was resumed on June 10, Cooperstown's Coleman Barron (Davidson) hit a two-run home run to win the game in the 14th. The full walk-off list can be found in today's game notes here. *Eight of nine league teams have won at least one game in a walk-off situation. Oneonta leads all league teams with three walk-off wins and Newark has two. Oneonta and Newark have both been involved in four walk-off games; two of those games were against one another. *Oneonta's Zac Johnson (Illinois State) was nearly the hero for the Outlaws an inning earlier. In the bottom of the ninth with the game tied at one Johnson came up to the plate. He sent a smash high down the right field line that cleared the fence at Damaschke Field. However, the ball, which went over the fence right around the fair pole, was ruled to have hooked foul. Johnson ended up walking however he received a second shot at winning the game in the 10th and came through. *Johnson's hit was also part of a two-out rally in the 10th by the Outlaws. Cooperstown reliever Coleman Barron (Davidson), in just his second appearance of the summer, quickly retired the first two Oneonta batters in the 10th. Omar Garcia (State College of Florida) and Orlando Rivera (State College of Florida) worked back-to-back walks and then Shane Crain (Louisville) was hit by a pitch to load the bases. Oneonta was down to its final strike when Johnson sent the winning smash down the right-field line. *Zander Wiel (Vanderbilt) also made Oneonta's late run possible. Wiel entered in the eighth as a pinch hitter with runners on the corners and one out. Wiel, just off the bench, came up with a pinch-hit single into left field that made it a 1-1 game. *Lost in the extra-inning and walk-off madness at Damaschke Field was a tremendous pitchers' duel between Cooperstown's Chris Haggerty (Villanova) and Oneonta's Brett Lisle (Virginia). The two turned in nearly identical lines. Each pitched eight innings, allowed one run on four hits and struck out five. Haggerty, who was slated to start the night before at Newark but was pushed back, walked three while Lisle issued just two free passes. The run allowed by Lisle came in the third on a fielders' choice while Haggerty allowed a score in the eighth. 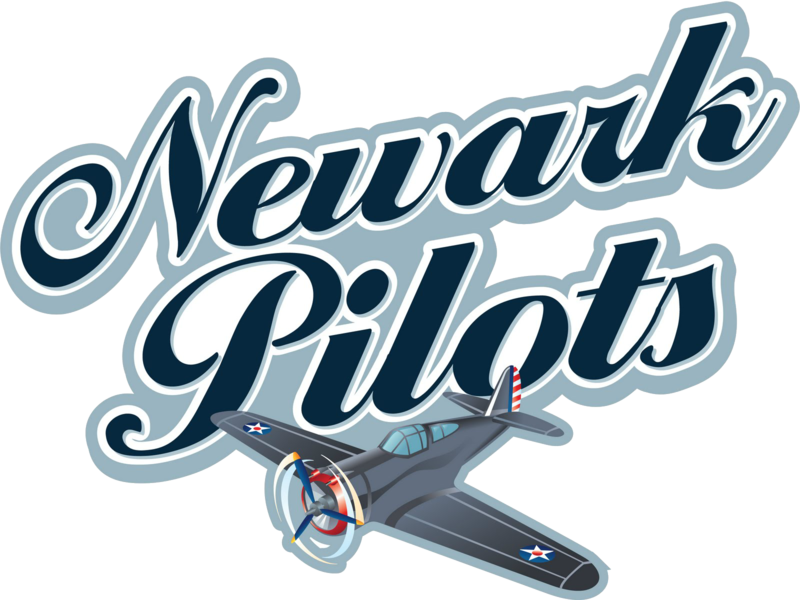 *For the second night in a row, the Newark Pilots were involved in the wildest ninth inning. The Pilots can't seem to stop playing in games where everything has come down to the last few frames. Wednesday night, Newark allowed six ninth-inning runs in a 10-8 loss to the Cooperstown Hawkeyes at Colburn Park. The Pilots turned the tables on Thursday in Elmira and scored five times in the top of the ninth to force a 10-10 tie. The tie would not last for the Pilots. Clark Wise (Wofford) walked to start the home half of the ninth and after a sacrifice bunt, Landon Prentiss (VCU) looped a Newark offering into center field that scored Wise with the game-winning run. *Nine of Newark's last 12 games have been decided by two runs or less. Four of those 12 games were decided on a walk-off hit. One of the four decided by more than two runs came down to a final at-bat with the bases loaded against Amsterdam in a 16-12 loss. 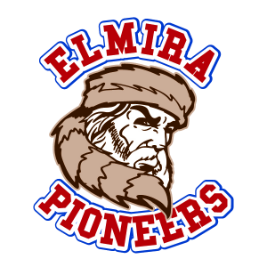 *The top four batters on manager Dan Shwam's line-up card for the Elmira Pioneers combined to drive in 10 of Elmira's 11 runs. Landon Prentiss (VCU), Corey Hamula (Sullivan County CC), Steven Patterson (San Joaquin Delta) and Spencer Brann (UC Davis) each had at least two RBI. Prentiss led the Pioneers with four hits in four at-bats; he drove in three runs and walked twice. Hamula cracked a two-run single. Steven Patterson went 3-for-4 with a home run, two RBI and three runs scored. Spencer Brann bopped a two-run home run and drove in three runs total on two hits. All total, the top four had 10 hits, 10 RBI and five runs scored. *The scoring in the Elmira-Newark game was fairly consistent throughout the night. At least one run was scored in seven of nine total innings. The fifth and the seventh were the only two frames when neither team scored. Seven of Elmira's 11 runs crossed the plate in the first three innings. Seven of Newark's 10 runs were reeled off between the sixth and ninth. Nine total pitchers were used in the game. *Before getting to the offensive explosion that was Glens Falls-Albany; I'd like to congratulate former Elmira Pioneer Andrew Wall, a member of the 2010 Pioneers, on signing a minor-league pact with the Washington Nationals as a non-drafted free agent. Wall had been pitching in the independent Pecos League with the Alpine Cowboys. He is expected to be assigned to the New York-Penn League's Auburn Doubledays. *Chandler Shepherd (Kentucky) of the Amsterdam Mohawks nearly became the second PGCBL pitcher this season to throw a no-hitter. Shepherd fired a one-hit gem against the Mohawk Valley DiamondDawgs on Thursday night in an 8-0 win. The only Mohawk Valley hit came in the sixth inning on a bunt single by Mohawk Valley's Chris Cruz (Cornell), the reigning PGCBL Player of the Week. Shepherd allowed only five base runners total on one hit, two walks, one hit batsmen and one Amsterdam throwing error. He struck out nine to win his league-leading sixth game. *The only other league pitcher to win six games was the 2011 PGCBL Pitcher of the Year Dominick Ruscitti of the Newark Pilots. *Mohawk Valley has been held to just one hit in two-straight games. Albany's Matt Snyder (Va. Tech) fired a one-hitter for 7.1 innings against Mohawk Valley on Wednesday night and then Grant DeWitt (Eureka) seated the final five MV batters. Chandler Shepherd gave up just one hit in eight innings at Mohawk Valley last night and Dan Zlotnick (Marist) retired three of the fourth men he opposed in the ninth. *Chandler Shepherd (Kentucky) was attempting to become the first Amsterdam pitcher to throw a no-hitter since Sean Bouthilette tossed a rain-shortened no-no against the Watertown Wizards in 2010. One year prior, David Filak, a current Atlanta Braves farmhand, threw a seven-inning no-hitter and struck out 13 in a win over Glens Falls. Amsterdam nearly had two other no-hitters in 2010 - Kyle Hunter (Dartmouth) had a no-no at Mohawk Valley broken up with two outs in the bottom of the ninth Dan Zlotnick, the pitcher who closed for Amsterdam on Thursday, had a no-hitter at Watertown come to an end with one out in the ninth inning. 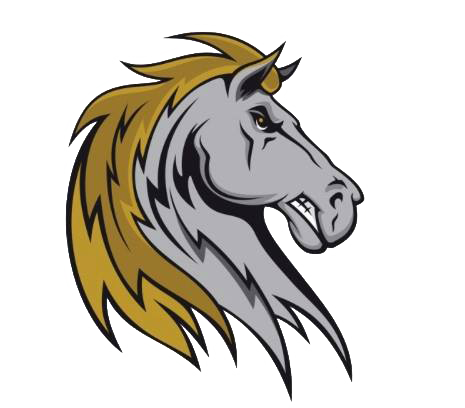 *While the Mohawks were unsuccessful in a bid for a no-hitter, the team still earned its fourth shutout of the season and first since an 11-0 shutout win over Albany on June 20. Amsterdam pitchers lead the league with four shutouts. Over the last two seasons, Amsterdam hurlers have pitched eight shutouts. *Also of note from Little Falls, Amsterdam's Ed Charlton (NJIT) extended his team high hitting streak to 20-straight games. Charlton's hit streak began in the middle of the June. *While Elmira and Newark set a dizzying pace at Dunn Field, so did Albany and Glens Falls at East Field. The Dutchmen and Golden Eagles combined for just 18 runs but did so on 34 hits. Both teams scored at least once in the first eight half innings. The top of the fifth was the first scoreless half-inning of the game. Each team scored once in the first, Albany's one in the second was answered by two run from Glens Falls and then one in the Albany third was my by a grand slam from Glens Falls' Kevin Meyers (NE Okla. A&M). The two teams then again traded two runs each in the fourth and one run each in the sixth. Glens Falls plated a single run in the seventh and Albany's Zach Remillard (Coastal Carolina-2012) hit a solo home run in the ninth. *Sixteen players total in the game had at least one hit. For Albany, Zach Remillard (Coastal Carolina-2012-13), Morgan Phillips (Charleston) and Jared Martin (Cumberlands) each had three hits; Remillard scored three of Albany's seven runs. Both Mike Triller (Clemson) and Adam Young (UC Davis) had two hits and one RBI. All nine Glens Falls starters had at least one hit, eight of nine scored at least once and seven drove in one run. Mike Vigliarolo (Saint Louis) led all players with four hits and he scored twice. Danny Brennan (Saint Louis) went 3-for-3 with a solo home run and two RBI. Casey Rodrigue (LSU Eunice), Buddy Putnam (South Florida), Chase Griffin (Ga. Southern) and J.P. Rousseau (Western Nevada-2012-13) all had two hits, one RBI and one run scored. *For the first time since last August, the Newark Pilots will return to the site where they captured the 2011 PGCBL championship over the Amsterdam Mohawks. Newark swept a doubleheader from Amsterdam at Shuttleworth Park on August 11, 2011 to win the best-of-three league championship series, two games to one. Current Pilot Sean Osterman (St. John Fisher) smashed a game-winning home run in extra innings of Game 2. This season, nationally-ranked Mohawks and Pilots have played just once, a doozy of a 16-12 Amsterdam win at Colburn Park in which the teams combined for a whizbang of a 21-run inning. The Mohawks have won five out of their last seven after dispatching of second-place Mohawk Valley on Thursday night. Amsterdam has opened up a 7.5-game lead on the DiamondDawgs, their neartest pursuers. Newark meanwhile is in the heat of the playoff chase and the Pilots with back-to-back losses to Cooperstown and Elmira have falled into fourth place, a half-game behind third-place Glens Falls and a half-game ahead of Oneonta; each team has a game at hand. Newark's offense has scored 18 runs in back-to-back games but the Pilots have allowed 21 runs. And in each of the last two games, the Pilots have been beaten in the final inning. Newark's been involved in four walk-offs this year, two for and two against. Amsterdam's Mark Leiter Jr. (NJIT) pitched against the Pilots in the PGCBLCS last year and earned the win in Game 1 of the series at Colburn Park. Daniel Thorpe (Saint Joseph's, Pa.) has been Newark's most consistent arm and he can tie Amsterdam's Chandler Shepherd (Kentucky) for the league lead in wins with a victory tonight. *Last Friday night, the streaking Mohawk Valley DiamondDawgs were on a roll and in the midst of an 11-game winning streak. Oneonta meanwhile was in the midst of what would become a four-game losing streak that dropped the Outlaws below .500. Mohawk Valley pounded out 12 runs to hammer Oneonta 12-5. However one week later, it's a different story. The Dawgs have dropped three in a row and an overpowering offense during the 11-game winning streak has compiled two hits in its last two losses to Albany and Amsterdam. Oneonta meanwhile has won three out of its last four and the Outlaws are just on the cusp of making into the league's top four. The Orange and Black have gotten excellent pitching; in their last three wins, opponents have scored no more than three times and that is how many runs total Oneonta has allowed in back-to-back triumphs over Elmira and Cooperstown. The Outlaws have received back-to-back quality starts from Wahoo's Nathaniel Abel (Virginia) and Brett Lisle (Virginia). The Outlaws are also now 3-1 in extra-inning games and have won three games via walk-off. Mohawk Valley pitchers have yielded 21 runs in three-straight losses while the offense has put together four runs. The Dawgs have now been shut out twice this year; the last time after a shutout, the offense erupted for seven runs in a 7-1 win over Albany. League ERA leader John Means (Fort Scott C.C.) will look to try and stop Mohawk Valley's slide while Oneonta's David Sosebee (Georgia) tries for his fifth win. Both Sosebee and Means were selected to play in the PGCBL All-Star Game. *Cooperstown was one out away from having a three-game winning streak however the Oneonta Outlaws had other plans last night in a win over the Hawkeyes at Damaschke Field. Cooperstown fell on a walk-off single from Oneonta's Zac Johnson (Illinois State) in the 10th while in the Twin Tiers, Elmira's Landon Prentiss (VCU) beat the Newark Pilots with a walk-off double in the bottom of the ninth. 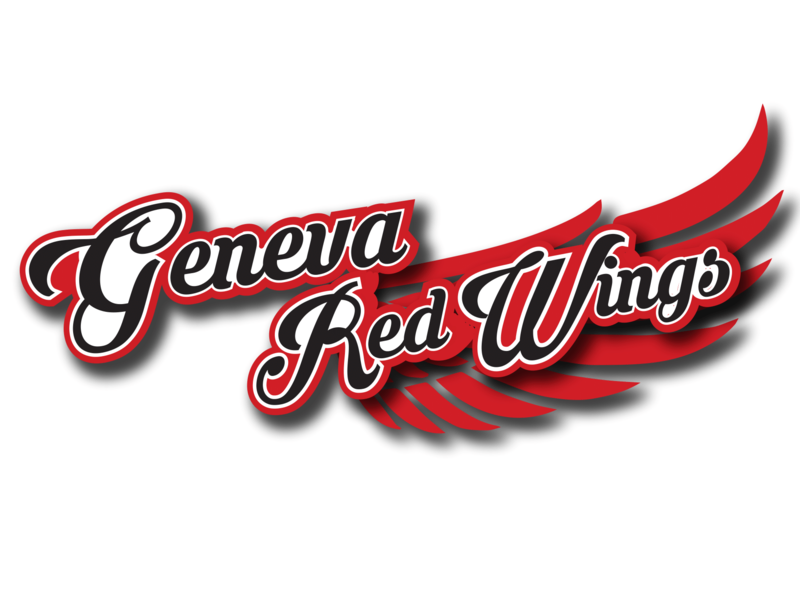 The two teams on opposite sides of a walk-off on Thursday now collide Friday night at Dunn Field in the Southern Tier. 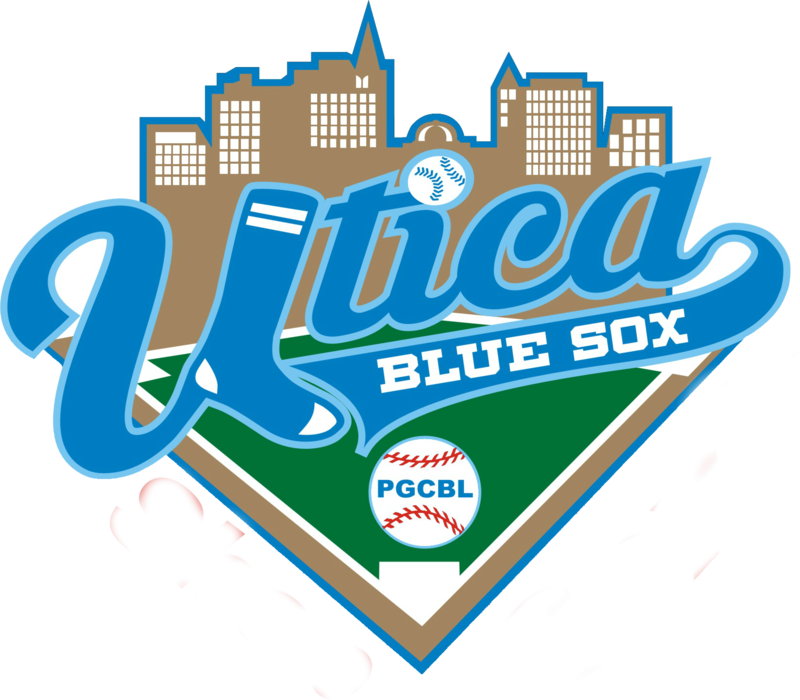 The former PGCBL West division rivals are playing for the seventh time this season; Elmira leads the series 5-1. Cooperstown's lone victory over Elmira came in front of almost 4,000 fans at Dunn Field on June 28. After scoring 20 runs in back-to-back wins, the Hawkeyes were held to two scores on Thursday by Oneonta though the Hawkeyes received a tremendous pitching performance from starter Chris Haggerty (Villanova) who fired a four-hitter through eight. The Hawkeyes are back on the road tonight; more than half of their wins have come away from Doubleday Field. The road trip will continue through the weekend because of the induction ceremonies this weekend at the National Baseball Hall of Fame and Museum. The Hall of Fame induction weekend has the Hawkeyes on a five game, six-day road trip that includes games at Newark, Elmira, Oneonta (x2) and Mohawk Valley. Cooperstown will not play at home again until July 25, the day after the All-Star Game. Elmira's walk-off win on Thursday night ended a three-game slide. In its last nine games, Elmira has scored at least six runs in each of its last nine wins. *Rounding out the schedule for tonight, Watertown buses down from the North Country to the Capital District to play the Albany Dutchmen at Bob Bellizzi Field. Tonight's meeting is the first in a home-and-home series between the two teams who are scheduled to play four times total this season. The Dutchmen are in Watertown tomorrow night. Albany is 2-0 against Watertown though the Dutch and Wizards have not met since a Albany earned a 6-5 victory at "The Bob" on June 21. The Wizards were off on Thursday while Albany lost a slugfest to Glens Falls at East Field. The Dutchmen dropped back below .500 but remain just 1.5 games back of now fourth-place Newark and 2.0 games behind third-place Glens Falls. The good news for Albany is that the Dutchmen have games at hand on every team they're chasing. On the other side, with 10 games remaining in the regular season, the Wizards need to start winning to make a run at a playoff spot. Watertown's 11 road wins are among the best in the league though the Wiz Kids have lost four straight on the road since a 5-1 win at Cooperstown on July 10. Watertown scored 17 runs combined in those four losses but allowed 38 runs. Friday will be Watertown's first road game in almost a week. The Dutchmen are 6-5 in their last 11 games and have not had more than two-straight losses or two-straight wins in the month of July. At home, Albany has won back-to-back games over Glens Falls and Mohawk Valley and the Dutch boast a winning record on their home field. Albany starter Kasceim Graham (UAlbany), a second-year Dutchmen pitcher, earned his first career win over Watertown on July 3, 2010 with a three-hitter over seven innings against the Wiz Kids at Bleecker Stadium.